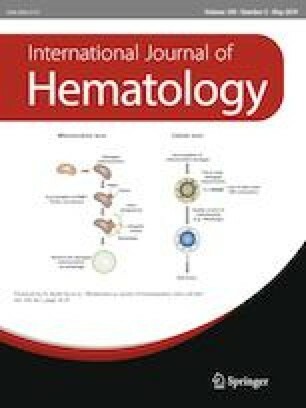 Epstein–Barr virus (EBV)-associated hemophagocytic lymphohistiocytosis (HLH) is highly prevalent in Japan. To date, no standard treatment for EBV–HLH has been established owing to the diversity in treatment response and the difficulty in assessing prognostic factors. The present prospective study recruited 27 children with EBV–HLH who were also part of the HLH-2004 study. EBV load in the peripheral blood was monitored at diagnosis and 2, 4, and 8 weeks after treatment initiation. Additionally, T-cell receptor (TCR) clonality and other laboratory data were evaluated. TCR clonality was positive in 14 patients at diagnosis. Seven of 27 patients experienced recurrences after treatment. No correlation was noted among any clinical data at diagnosis of patients with and without recurrence. However, the recurrence rate was significantly higher in patients aged < 2 years and/or those with a high plasma EBV load of > 103 copies/mL 2 weeks after treatment than that in patients without these factors. These findings suggest that a younger age or a high EBV load in plasma at the early phase of treatment is a factor predicting a recurrence and helps guide the intensity of subsequent treatment phases for children with EBV–HLH. Ryu Yanagaisawa and Kazuyuki Matsuda contributed equally to this work. A correction to this article is available online at https://doi.org/10.1007/s12185-019-02641-x. This work was supported by a Grant-in-Aid for Clinical Cancer Research from the Ministry of Health, Labour and Welfare of Japan (H20-GanRinsho-Ippan-017), by the Practical Research for Innovative Cancer Control from the Japan Agency for Medical Research and Development (AMED_16ek0109055h0003 and AMED_18ck0106462h0001), and by the Japan Leukemia Research Fund. The authors would like to thank Yūka Miyajima for assistance with preparation of the manuscript as well as secretarial assistance. The authors also thank Enago (http://www.enago.jp) for the English language review.